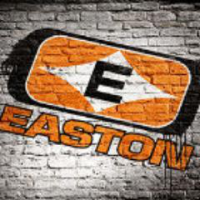 Sign up to track nationally aired TV ad campaigns for Easton Bowhunting. Competition for Easton Bowhunting includes Bass Pro Shops, Cabela's, Academy Sports + Outdoors, Gander Outdoors, TenPoint and the other brands in the Retail Stores: Outdoor & Sporting Goods industry. You can connect with Easton Bowhunting on Facebook, Twitter and YouTube. We have seen no national TV commercial airings from Easton Bowhunting.